The value of games continues to rise. 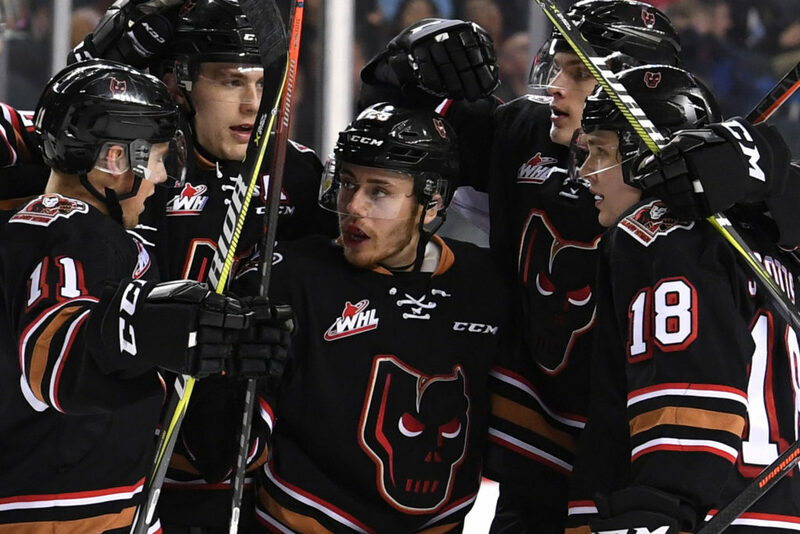 Wednesday night will see the Hitmen continue the four-game road swing in Brandon for a massive game against the Wheat Kings. 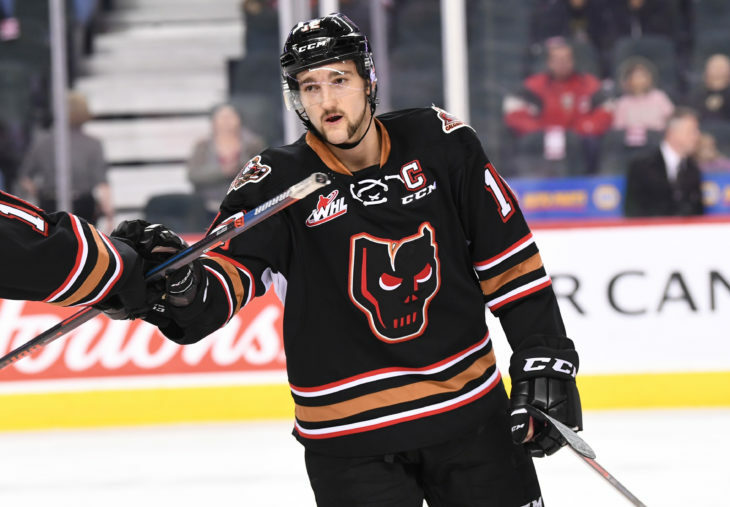 The Hitmen will look to continue to ride momentum, after they took care of business over the weekend with a home-and-home sweep of the Medicine Hat Tigers. 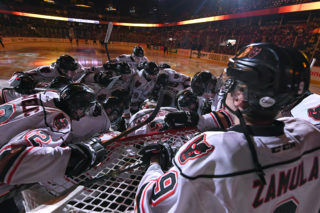 With a 3-1 victory Friday night and a 5-3 win Saturday, the Hitmen are now just two points back of the Tigers for third in the Central Division with two games in hand. 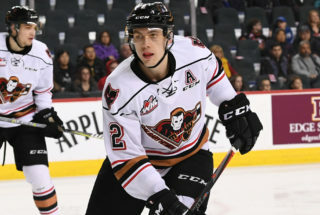 Mark Kastelic scored his second hat-trick of the season to lead the offensive charge in the most recent triumph over the Central Division rivals with Luke Coleman and Vladislav Yeryomenko adding single markers. In his fourth straight start, Carl Stankowski was tremendous ending with 27 saves making several big stops to preserve the win. 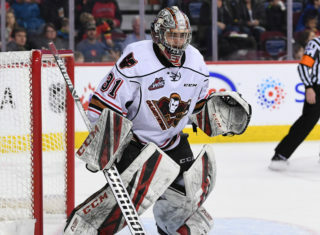 So far in the season series against Brandon, the Hitmen have gone 1-0-1 with the visiting team winning the first two clashes with both needing overtime to find a winner. 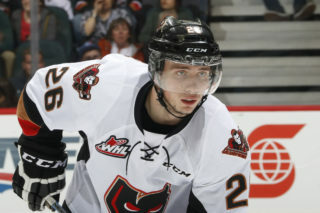 Kastelic (4G, 1A) leads the Hitmen with five points in the season series while Coleman (3G, 1A) is next with four. Winners of four straight games which include a pair of wins over the league leading Prince Albert Raiders, the Wheat Kings are now just two points away from a playoff spot. With a stretch of 7-3 in their last ten, their winning streak has been a big reason why they are within striking range. 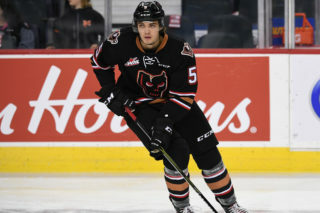 The Hitmen currently hold the first wildcard position with 65 points and will look to further the gap between them and the two teams chasing in Red Deer and Brandon. But with the way they have been playing, instead of looking back they are looking up. “This is the time of year where you want to continue to build momentum,” head coach Steve Hamilton said. “We picked up four valuable points but we can’t marvel at our work, we need to keep pressing. 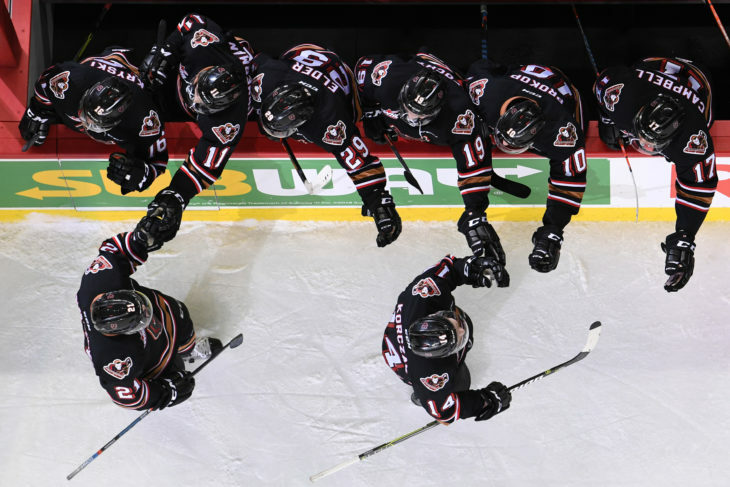 Friday night will be the next outing for the Hitmen when they head to Regina to take on the Pats and close out the road swing the following night in Swift Current. Riley Stotts (4G, 9A) is riding a 10 game point streak. James Malm (3G, 8A) is on a seven-game point streak. Mark Kastelic (5G, 2A) has points in four straight games. Egor Zamula (1G, 3A), Carson Focht (1G, 1A) and Dakota Krebs (2A) all have points in back-to-back games. Carl Stankowski has won his last two starts posting a goals against average of 2.00 and .933 save percentage. Jackson van de Leest is two games shy of 100. Riley Stotts needs four goals for 50.